\o/ I got on quite a roll with decorating my ‘project’ for the duration of Home and Expo 2016. 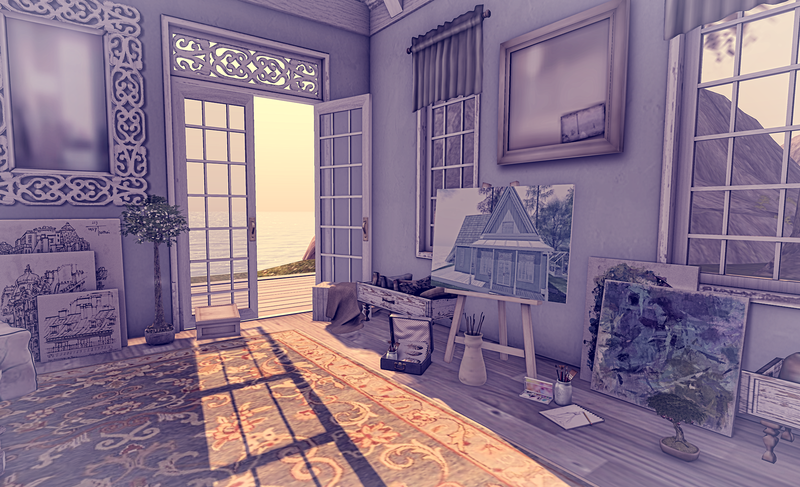 The Spargel & Shine home, Bocas Belle is available at the Expo which runs until 6th March and over the course of the next few weeks I will be taking time to decorate the house. 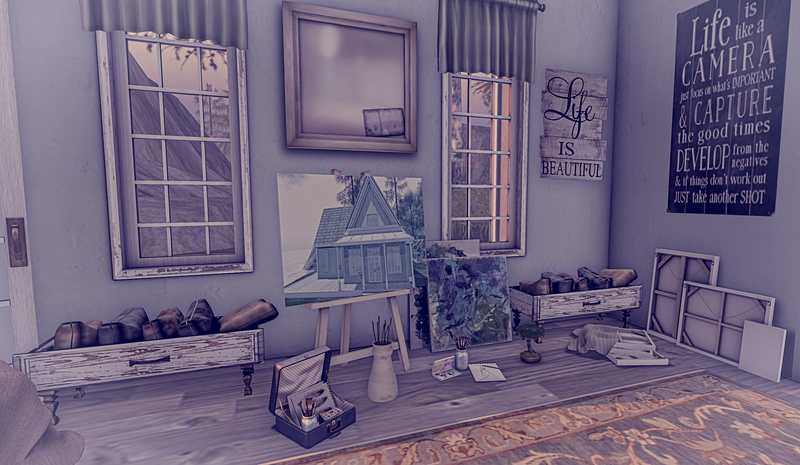 Of course this project is made so much easier by the fact that there are 10 sims of home and decor stores to choose from in addition to all the wonderful events going on about now including LTD Event, Whimsical and Shiny Shabby. Having completed the kitchen area yesterday I set to work on the ‘art’ room. I’ve set the house up so this room looks out to the ocean and provides a comfortable and creative work space. Every exhibitor at the Expo provides two items for sale at 100% donation to Relay for Life and both of the items from Spargel & Shine feature in the post today…the mirror pictured above and the rug featured in the pictures. I’m enjoying the spring time feel the house gives me and the open, airy style. I’m a ‘cosy’ house style person but that has to be balanced with rooms that I can cam around easily and the rooms in this house are the perfect size and proportion for what I want to achieve.